The Oakland Athletics and the Houston Astros are two teams headed in different directions. The Astros are competing for a playoff spot and the A’s, well it looks like they might be in rebuild mode all of a sudden, And may prove to be the biggest sellers in Major League Baseball heading into the trade deadline. 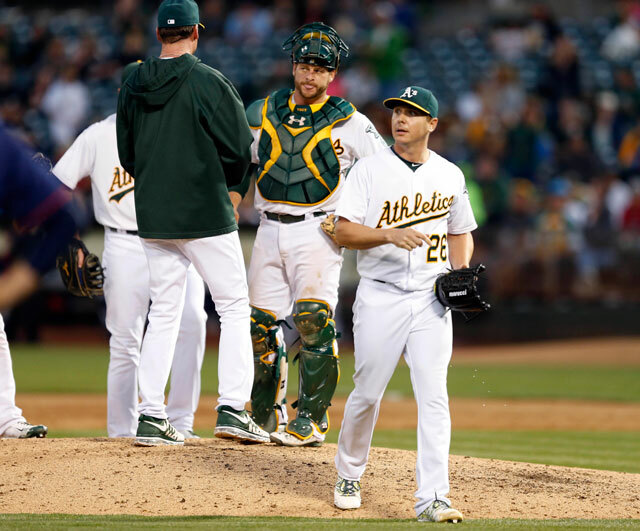 Ken Rosenthal of Fox Sports has reported that the Oakland Athletics have sent left-hander Scott Kazmir to the Houston Astros for prospects, right-hander Daniel Mengden and catcher Jacob Nottingham. Kazmir has posted a 2.38 ERA with with 101 strikeouts in 109 2/3 innings this season with the A’s. Kazmir is in the second year of a $22 million deal, and will be a free agent next season, when he turns 32 years old. Mengden, 22, was Houston’s fourth-round pick in last year’s draft. He has a 3.46 ERA with 84 strikeouts and 26 walks in 88 1/3 innings this season, split between two levels of Class A ball. The 20-year-old Nottingham was a sixth round pick by the Astros in the 2013 draft. He’s having a monster year, hitting .326/.383/.558 with 24 doubles and 14 homers at Single-A. Oakland is not likely finished dealing. 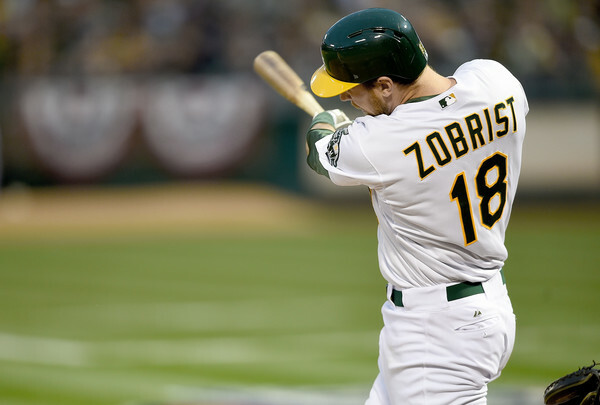 the Mets and A’s have discussed a deal involving the 34-year-old utility player Ben Zobrist. Zobrist is earning $7.5 million this season, and he’s set to be a free agent after the season. In 216 at-bats this season, Zobrist, a switch-hitter, is hitting .259 with five home runs and 32 RBIs. He’s has 18 doubles and has a .348 on-base percentage.